They wait and wait for the one opportunity to get back to shore, so they can come out and wait and wait again. 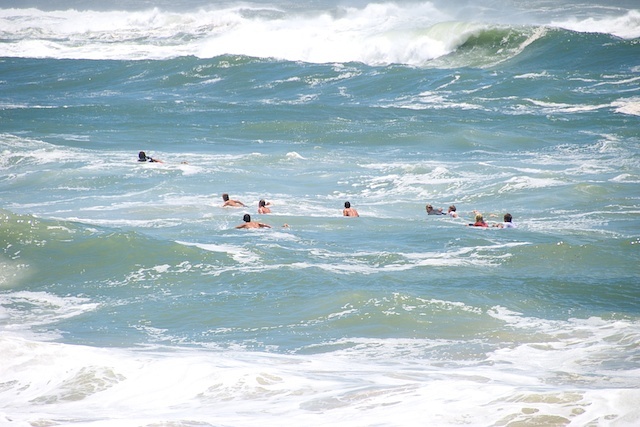 The seas have abated somewhat, but I recall some friends who were very good surf swimmers telling of a time they swam for several hours trying to pluck up the courage to come back in. Good luck to them I say!